It’s been a while since I touched my Spoonflower fabric account. And thanks to a few loyal repeat customers it’s still going strong on old patterns I created. So I am trying to refresh the account with some new patterns and a few revisions on old favourites. The top selling pattern hands down is Echo playing in some yarn. So I am making some new colour ways of this primary colour version. The old version will still be available, but now you have options (or will when I get my samples in and can make it public!). 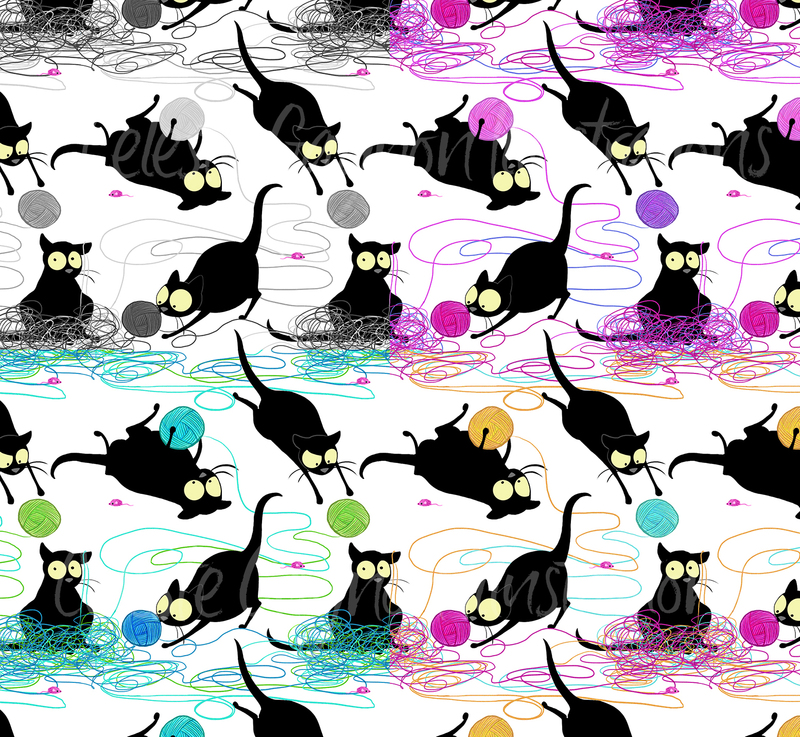 Here is what you can look forward to, as well as two new cat related fabrics. Stay tuned I have a sketchbook full of roughs for other pattern ideas coming soon!